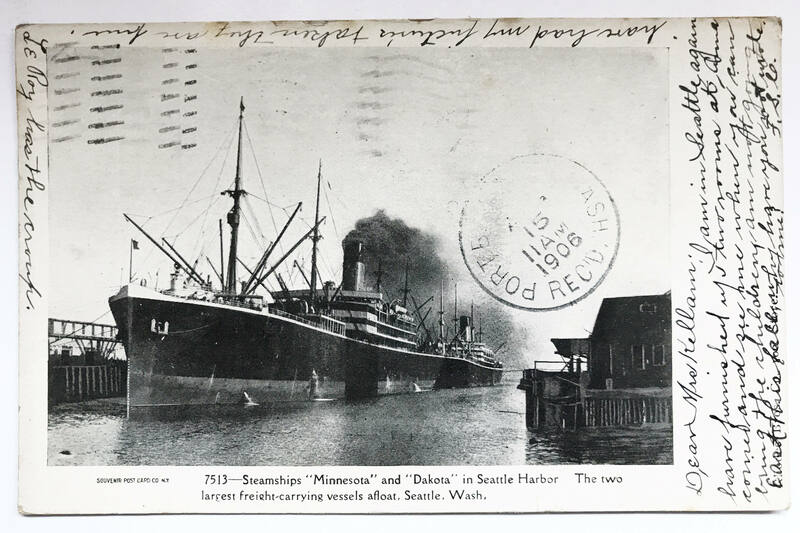 Black and white matte postcard of Seattle Washington maritime history - two steamships, the Minnesota and the Dakota in the Seattle Harbor. 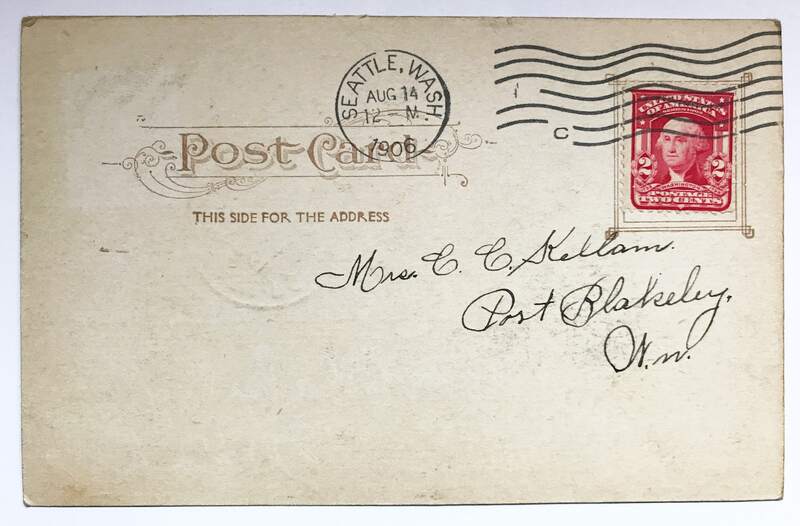 This early postcard is postmarked 1906, and published by the Souvenir Postcard Co. of New York. CONDITION: Very good with very little bumping and wear, but it is heavily postmarked. Front is written on. 2 c stamp. SIZE: 5 inches by 3 1/2 inches. All my postcards are kept in postcard sleeves. I endeavor to describe their condition accurately. If you require more information please message me.